Don Ross takes some time to talk about where he places each right hand finger while playing fingerstyle. This is a great lesson for those who wish to fix old habits, or are just starting out in this wonderful style. This looks exactly like what I've been looking for. I've never liked my right hand technique and I've never found an alternative anyone could explain clearly enough for me to follow. These lessons look like the breakthrough I've been looking for. Thanks Don. Excellent teaching method, very easy to follow and understand. I like your versatility approach with the fingers! It is smart. 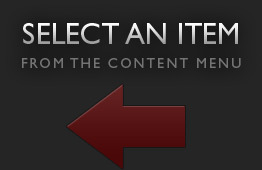 SO FAR THIS SITE IS NOT WORKING FOR ME AT ALL. ALL WE HAVE IS DSL INTERNET CONNECTION WHICH SPELLS REALLY REALLY SLOW RECEPTION. IT TAKES WAY TOO MUCH WAITING TIME FOR THE LESSONS TO UNFOLD. I NEED THESE LESSON ON A CD. Don, thanks for show us how you hold your right hand. I've been attampting for 7 years to use my pinky to stabilize that hand but it never really worked well. I'm starting to use your style and it works soooo much better, fewer picking errors Thx. Your teaching and humor is the best. Finger assignments? i'm all thumbs. I'd also love a tab for the intro :) Any chance of getting one? can you tell me about the electronics in your guitar? Can you tell me a little about the electronics in your guitar? Don I'm glad I found your teachings. I am very much looking forward to trying to learn what you have to offer. Don Ross, an award-winning, Billboard-topping fingerstyle artist, will teach you everything you need to know to get started in fingerstyle guitar. Don Ross talks about the way he plays and how he got started in his particular style. He also brushes on right hand technique and thumb pick style. Don Ross talks about fingerpicking patterns with a focus on Travis Picking. He explains the pattern thoroughly and at a step-by-step pace so that it can be picked up by fingerstyle players of any level. Don Ross dives into Travis Picking once more. This time, he specifically focuses on patterns for chords that have a root note on the fifth string. This time, Don Ross demonstrates Travis patterns with chords that have a root note on the fourth string. Having thoroughly explored Travis picking, Don Ross now takes some time to talk about the "thumb and brush" technique. Don Ross takes a couple lessons to talk about altered tunings and open tunings. In this lesson, he takes a closer look at altered tunings. Don Ross now discusses open tunings. Open tunings get their name because the open strings are tuned to a specific chord. Don Ross talks more about open G tuning and how to make it more applicable to your playing by applying the Travis pattern you have already learned. Don Ross talks about open D tuning, how it's similar to open C tuning, and how you can incorporate it into your playing. 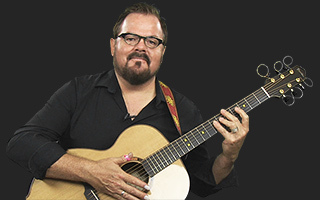 In this lesson, Don Ross explains open C tuning. As with the G and D tuning lessons, he explains how open C compares to other open tunings, how to tune, and what it can add to your playing. Don Ross looks at DADGAD tuning in this lesson. He explores different ways to play, how to tune, and discusses why it has become so popular. Don Ross takes another look at DADGAD and how you can play harmonically in this tuning. Don Ross continues his discussion on DADGAD tuning and brings it all together with Travis picking. Don Ross takes a final look at DADGAD tuning in this lesson. This time, he explores some great chord voicings that are sure to spice up your playing. Don Ross takes a look at a unique and beautiful tuning, CDCGAD, or in Don's words, the "Fred" tuning, and explores what can be done with it. Don Ross takes a look at the first part of his original song "Brooke's Waltz". This song is in the CGCGAD tuning you learned about in the previous lesson. Don Ross moves on and covers the second portion of his original song "Brooke's Waltz". Don Ross finishes up the trio of lesson on his song "Brooke's Waltz". This time around he talks about the song structure, as well as the funky behind-the-nut vibrato he ends the song with. In this lesson, Don talks about how you can use simple music theory to add colorful extensions to your chords and also create new open tunings. This is a very useful lesson for all guitarists. Don Ross delves into one of his sweeter melodies - "Upright & Locked Position". In this lesson, he offers a short review on the tuning he uses and teaches the first portion of the tune. Don Ross teaches the B section of his song "Upright & Locked Position". Don Ross returns to his song "Upright & Locked Position" and teaches the C part. He then talks about combining the three major sections of this song, as well as how to end it. Harmonics sound awesome, and no player's arsenal is complete without this versatile technique. Don introduces harmonics and talks about playing both natural and artificial variations. Don Ross talks about "slap" harmonics and "brush" harmonics and how they can be used. Don Ross teaches a harmonic technique he calls the "ripple effect". This technique was originally made popular by guitar legend Lenny Breau. Don Ross builds on lesson 28 by discussing more ways in which the "ripple effect" can be used. Don has toured regularly since 1989, across Canada, the USA, a dozen European countries, Japan, Taiwan, China, Australia, Russia and India. He has played with symphony orchestras in Canada and Germany, and collaborated live and on recording with Andy McKee, Canadian singer/guitarist Brooke Miller, & Toronto bassist Jordan O’Connor. He also composes scores for television, radio and film, and does production and recording engineering for a variety of other musicians. In addition to acoustic guitar, Don also plays electric guitar, slide dobro and lapsteel guitar, voice, piano, keyboards, bass guitar and drums.